LOS ANGELES (AP) — Skid Row in downtown Los Angeles has been home for thousands of homeless people, a tenuous comfort zone for many who hit the rock bottom of their lives in America. The area, originally agricultural until the 1870s when railroads first entered Los Angeles, has maintained a transient nature through the years from the influxes of short-term workers, migrants fleeing economic hardship during the Great Depression, military personnel shipping out during World War II and the Vietnam War and low-skilled workers with limited transportation options who need to remain close to the city's core, according to the Los Angeles Chamber of Commerce. It's also become a battleground where the poor fight merciless drug addiction and alcoholism. 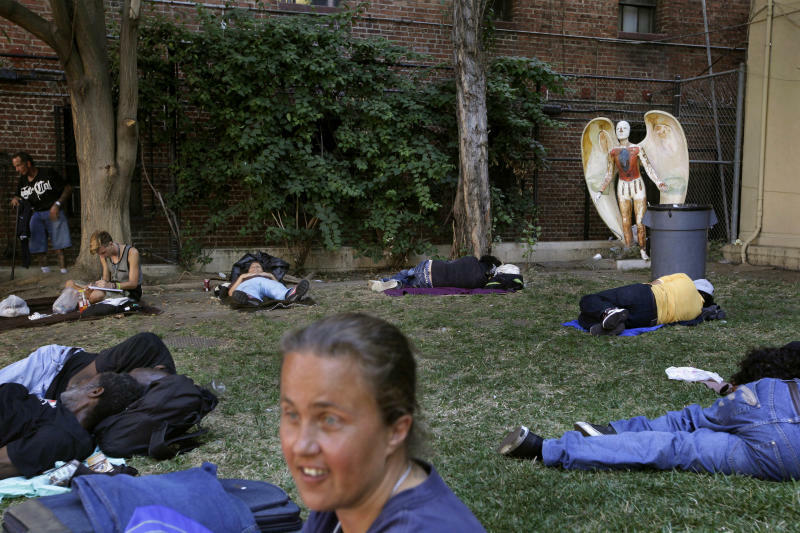 On Skid Row they're offered a place to sleep, food, counseling and even spiritual support. Some win the battle and turn their miseries into testimonies. Others don't. It's not a rare scene on Skid Row to spot addicts doing drugs in the open even when police patrol the area. Temptation lurks on every corner of the grid — but so do helping hands. The fight continues today. The warm afternoon sunlight shines on those who sleep on the sidewalk. 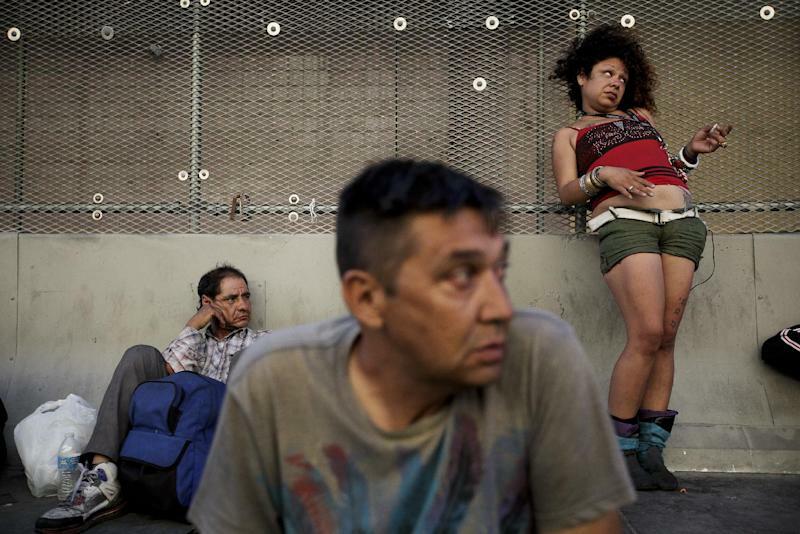 Here's a gallery of images from Skid Row by photographer Jae C. Hong.